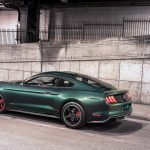 Ford today unveiled the all-new, 475-horsepower 2018 Bullitt Mustang at the 2018 North American International Auto Show – the latest special-edition Mustang model to pay homage to the 1968 Steve McQueen film Bullitt. 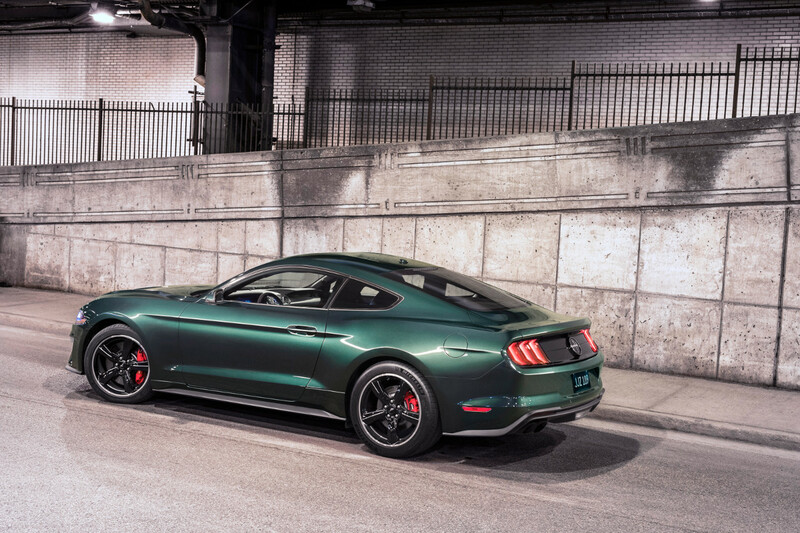 The car is loaded with signature aesthetic cues to set it apart from the ordinary Mustang GT, like the option of Dark Highland Green paint, subtle chrome accents around the grille and front windows, 19-inch Torq Thrust-style wheels, faux gas cap Bullitt logo, and a cue-ball shift knob. 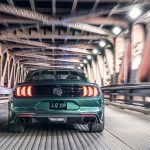 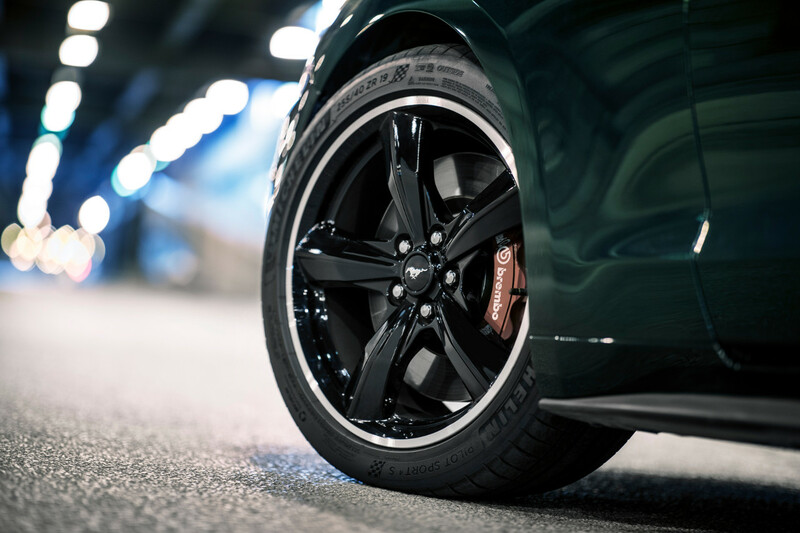 Yet scream it does, in an aural sense, thanks to a uniquely-tuned active valve performance exhaust with Black NitroPlate tips, which gives the Bullitt Mustang its own distinct burble. 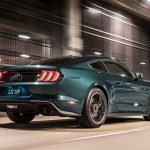 The new model makes use of the same dual-injected 5.0-liter Coyote V8 as in the standard Mustang GT, although peak engine output is 15 horsepower greater thanks to an open air induction system and a Shelby GT350 intake manifold with 87-mm throttle bodies. 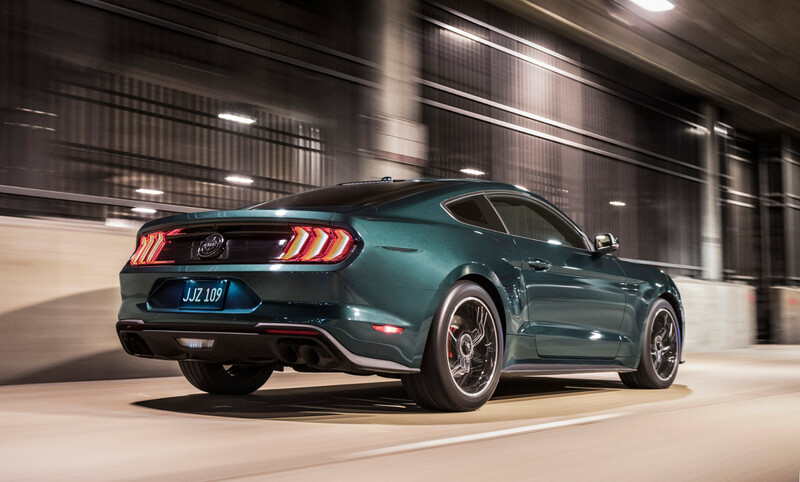 Top speed is rated at 163 mph – 8 mph higher than the standard Mustang GT. 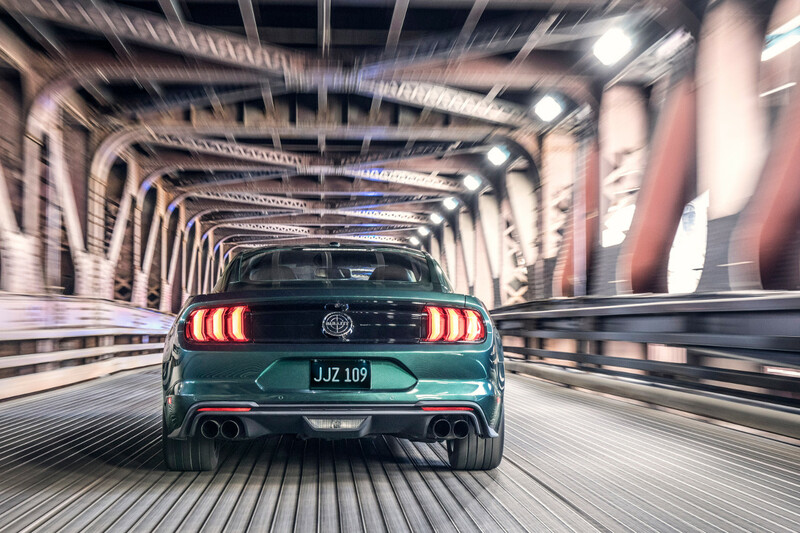 Best of all, the 2019 Bullitt Mustang is available only with a 6-speed manual transmission, with a retro cue-ball shifter just like the 1968 Mustang GT that McQueen drove in the film. 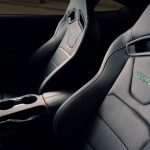 The extra content of the Mustang GT Premium and Performance Pack 1 is included, and the car ships with the 12-inch digital instrument cluster, heated leather steering wheel, and unique green accent stitching on the dashboard, console, door panels, and seats. 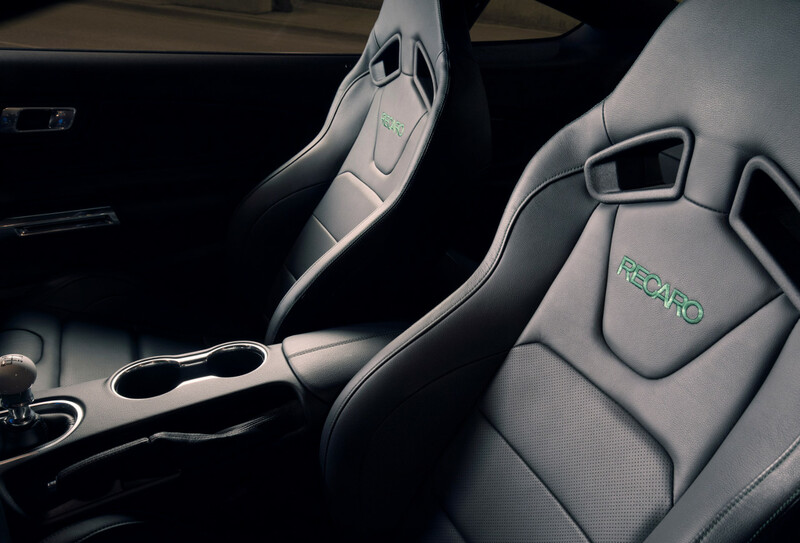 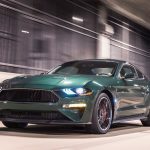 Just a handful of options will be available on the new Bullitt Mustang: MagneRide dampers, black leather-trimmed Recaro seats, Shadow Black exterior paint (if you’re an enemy of tradition), and a “Bullitt Electronics Package” (navigation, upgraded audio, driver memory seats/mirrors, Blind Spot Information System with Cross-Traffic Alert). 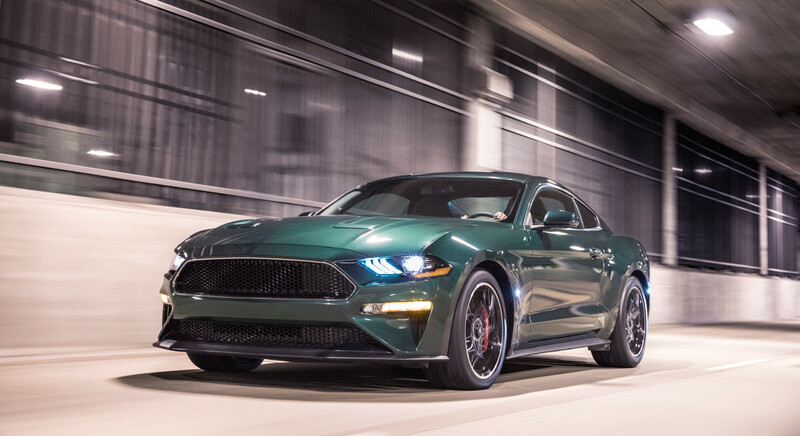 The 2019 Bullitt Mustang will be available later in the year. 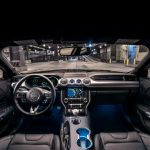 It’s expected that the first production example will be auctioned at the 2018 Barrett-Jackson Scottsdale event to benefit Boys Republic.